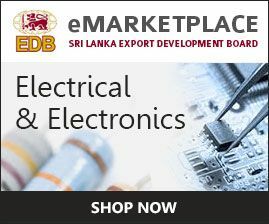 Sri Lankan Electrical and Electronics industry is progressively stepping in to the global electronics value-added supply chain with products and services finding acceptance amongst the most important global market leaders. It had a boom in 1980’s with investments from Japan, Sweden, Switzerland, India, United Kingdom and Germany for mass scale component manufacturing. The sector was grown as an export–led industry over past 40 years contributing 318 US$ mn. 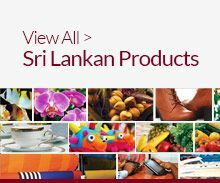 to the Sri Lanka exports in 2016 and 294 US $ million in 2015. The industry mainly caters for automobile, telecommunication, consumer electronics, industrial automation and many other verticals. 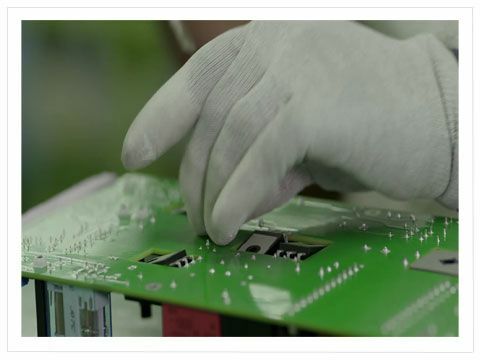 The Sri Lankan exporters in Electronics/Electrical Industry are all ISO certified, committed towards protecting the environment, observe ROHS and WEEE regulations, decent labor in conformity with the ILO requirements. 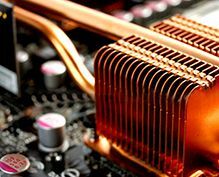 Major products exported include boards and panels (41% of electronic components), electrical wires (23%), and transformers (21%) while other miscellaneous products make up the remainder. Employment generation in this industry is approximately 30,000 including top-caliber researchers and design engineers. Currently, there are more than 70 companies engaged in design manufacturing and exporting of electronic and electrical products. 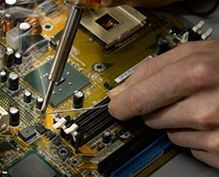 The Industry has therefore found wide acceptance and is increasingly attracting sophisticated buyers from Electronics Manufacturing Services partners. At present the country becomes a center of excellence for electronics design and development and the industry move towards the emerging technologies as IoT, Robotics, Bio-medical, Analytics and to world known Research and Development. Strengths of Sri Lankan electrical and electronics industry are like Trade relations with Europe and proximity to Indian booming electronic and automotive markets, Skilled middle tier technology workforce and intelligent and trainable labor in conformity with the ILO requirements, British commercial law System with English as the business language, European & Japanese Technology descent with matured investments, Adherence to all international Standards with cutting edge technology, Extensive availability of high quality minerals such as kaolin, feldspar, silica sand, quartz and ilmenite, which could be used as a base material for electronic products, and Sri Lankan exporters receive preferential market access under GSP Plus scheme, and several bilateral and other agreements, including the Indo-Lanka Free Trade Agreement and Pakistan-Sri Lanka Free Trade Agreement. The field is popular amongst the students following undergraduate to post-graduate study programmes. Several universities in Sri Lanka produce graduates in the fields of electrical, electronics and computer engineering. Many state institutes also provide in house Testing, research and development facilities as well as troubleshooting expertise with training.